– rather blue for growth, this promotes the foliage and shorter inter-nodes. The fluorescent tube is used for domestic and industrial lighting. It is often mistakenly called “Neon”, the name of the gas originally contained in the tube (neon produces a red light). Its advantages are its low power consumption and long life. However, due to their low power and light output, they are particularly just suitable for vegetation phase. In bloom, it takes a significant number of it in order to have a correct flowering. And in this case, power consumption is equivalent to a HPS lamp. The fluorecents tubes for horticultural use to be replaced at most every year. They begin to lose their luminous efficiency from 6 months even though their life may reach 2 or 4 years. Use tube for aquarium plant, some spectra available are suitable for photosynthesis (Grolux type pink color). Vegetative growth is quite long and the light is not penetrating. They are not really suitable for flowering. 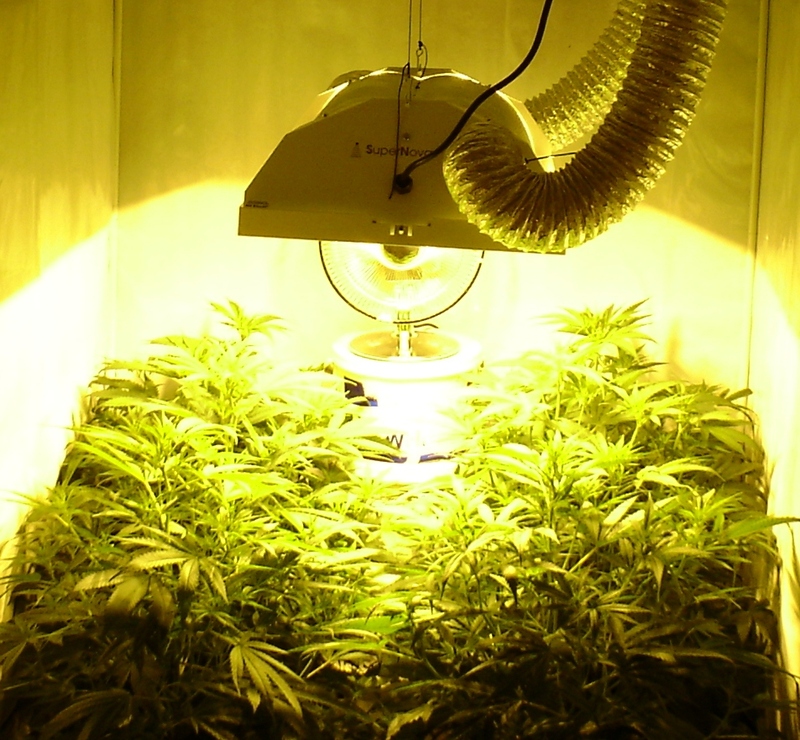 Cfl lamps are excellent for mothers and cuttings and are also suitable for the flowering according to the selected color temperature. 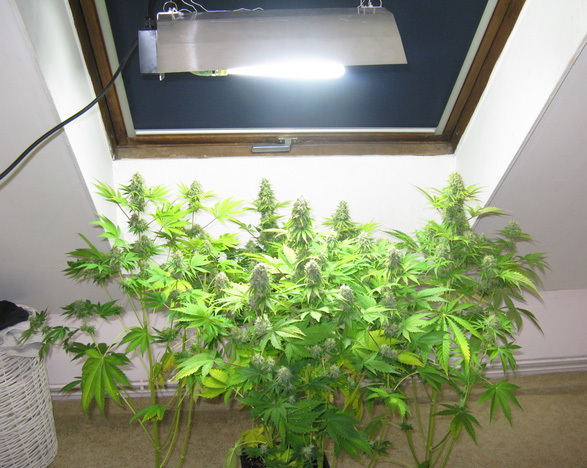 CFL are not nearly as good as HPS / MH but allows to have a very good result to grow cannabis. Some models require a ballast, be careful if you opt for this lamp. In addition, because of their shape, Cfl lamps are very fragile ampoules, must be handled by the base. Their low light clearance avoids any risk of apical chlorosis. It can therefore be closer to 1 cm from the top of the plants. Cfl lamps are are available in different spectra and power. Lifetime: 22,000 hours (just over 3 years) but it is not as effective after 15,000 hours. Spectrum is ideal for vegetative growth. Ideal spectrum for flowering. For economy, it is quite possible to use HPS bulbs intended for public lighting (orange). The “horticultural” Grolux type Sylvania lamps or Green Power (T-Pia technology *) Philips are a plus, they have a slightly improved spectrum. These bulbs are a plus, but not the guarantee of a better harvest. Some people change the bulb after each crop to maintain optimum illumination, but you can use it for 8 months max. Requires a strong and continuous ventilation. Not recommended for young plants and cuttings. 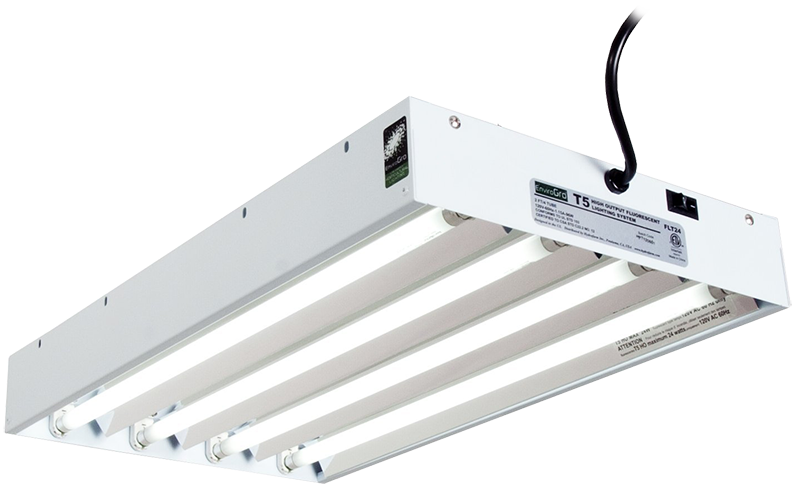 A cooltube lighting system is recommended if you want it closer to the plants.